There are two things that you will hear stressed time and time again when you are diagnosed and treated for any chronic health condition. Those things are regular exercise, and diet control. This is because, aside from potential medications and medical intervention, these two factors affect the treatment of your chronic health condition more than anything else. From diabetes to high blood pressure, diet and exercise are the best way for you to contribute to your own health and well-being. Incorporating exercise into your daily life can be as easy as taking the stairs instead of the elevator at work, or going for a walk around the block. You don’t have to run miles a day or lift weights to get in some healthy exercise. Most people find maintaining a healthy diet much more difficult than upping their physical activity. The best way to build and maintain a healthy diet is to create a meticulous meal plan. Meal planning is the very best way to incorporate a healthy diet and stick to it. For those with chronic health conditions, this is excellent news, because anything that makes your life easier and healthier is one more step to maintaining a healthy lifestyle. 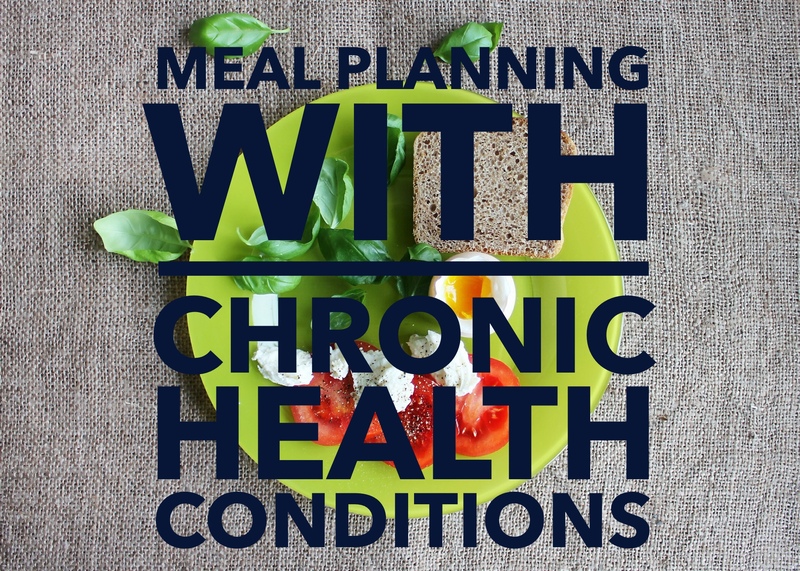 The first reason why meal planning works for incorporating and maintaining a healthy diet, especially for chronic health conditions, is because meal planning takes all of the guess work out of dieting. A meal plan maps out every meal and snack you will eat on any given day. With a successful meal plan, you no longer have to spend time worrying about what you will eat for dinner tonight or what to bring for lunch tomorrow, because you’ll have it all planned out in advance. There are multiple ways to put together a meal plan. Some doctors, nutritionists, websites, and diet plans will actually provide a meal plan for you. You can also put together your own meal plan. Building your own meal plans may be your best option as you can customize it to your exact specifications and preferences. When you are following a meal plan, every snack and meal is laid out for you. You know exactly what you are going to eat for each meal for days in advance, so you never get caught trying to pull together a last minute meal. That means a significant drop in quick visits to the drive through and a whole lot less stress at meal times. Plus, knowing what meals you will be preparing in advance gives you the opportunity to do some prep work ahead of time as well. For example, you can spend a little time each week prepping meals by chopping vegetables, marinating meats, and whatever else you can do to make your life easier. Meal planning truly makes eating healthier so much easier. When you are living with chronic health conditions, anything you can do to make your life simpler is a win. 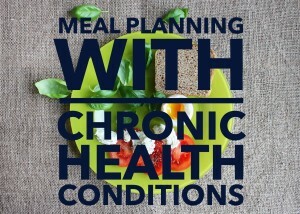 Meal planning makes eating healthier easier for people with chronic health conditions. For other tips with chronic health conditions click here.